December 2014 found us house sitting in Ojochal, on the southern pacific coast of Costa Rica. One of the great things about house sitting is that the homeowners often introduce us to their friends and community. With new friends to chat with we learn about all sorts of great opportunities. 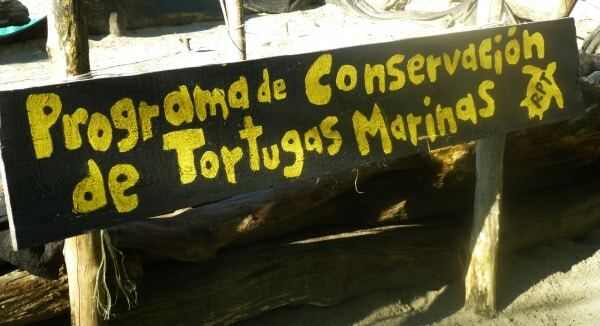 This trip, we knew we would be near a turtle sanctuary and that it was hatching season. We were thrilled that our new neighbors made sure to invite us to a turtle release at our nearby beach. Not only did we get to join a group of local expats and Ticos, but we were driven to the location, which we would never have found on our own, and it was all free. The turtle sanctuary is a beach side lab where the project leader, Oscar, runs a program to prevent poaching and assure the survival of thousands of baby Green and Olive Ridley turtles each year. Volunteers patrol the beaches to prevent poaching of the eggs, which are sold illegally due to the belief that they are an aphrodisiac. Our visit coincided with the release of about fifty Olive Ridley turtles. 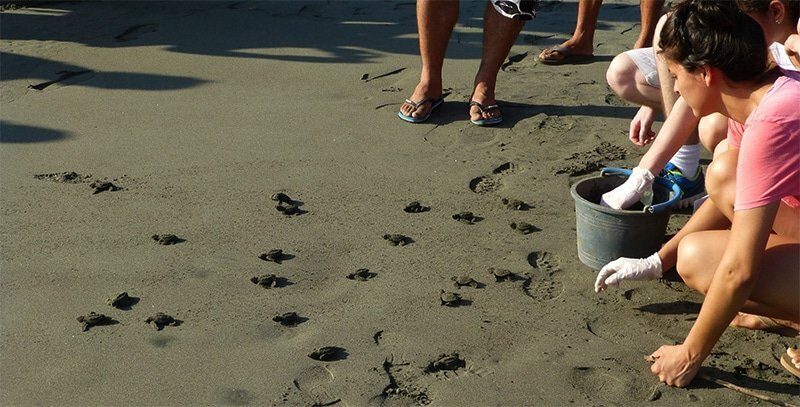 As we gathered with a large group of folks, we watched the mostly volunteer staff as they entered a carefully marked grid to dig up the baby turtles hatched from eggs that they had buried there earlier in the season. 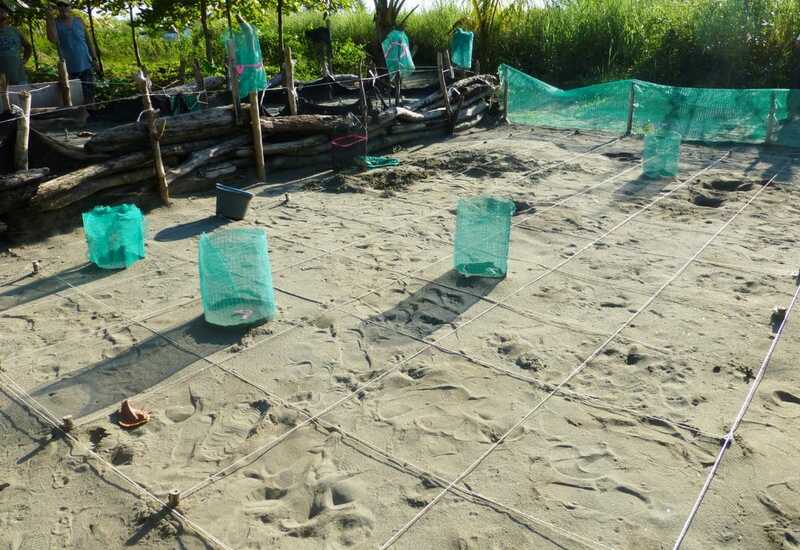 Oscar and his team find the nests of eggs and carefully dig them up and rebury them in the safety of the grid, keeping track of the gestation period. When the eggs hatch, the hatchlings are ready to head for the ocean- so they gently dig them out. Each one is weighed and measured before they are placed in a bucket to be taken to the beach for release. We even saw a few babies that had hatched on the beach, in the wild, the previous day. They had been discovered in time to protect them and gathered in the lab to await the release event. The journey to the water can be perilous for these tiny creatures so the protection of the reserve helps allow more of the babies to survive the trip down the beach. Once the baby turtles had been examined and had some time to warm up in the sunshine, our large group walked down to the beach. The children were each given a surgical glove to wear, to protect the babies, so they could pick them up and place them on the beach. A volunteer drew lines in the sand making a safe highway to the sea for the hatchlings and the kids set them at the top of the path and redirected any wanderers. We all watched from outside the boundary as the tiny sea turtles made their way down to the sea where they would begin their life in the pacific ocean. 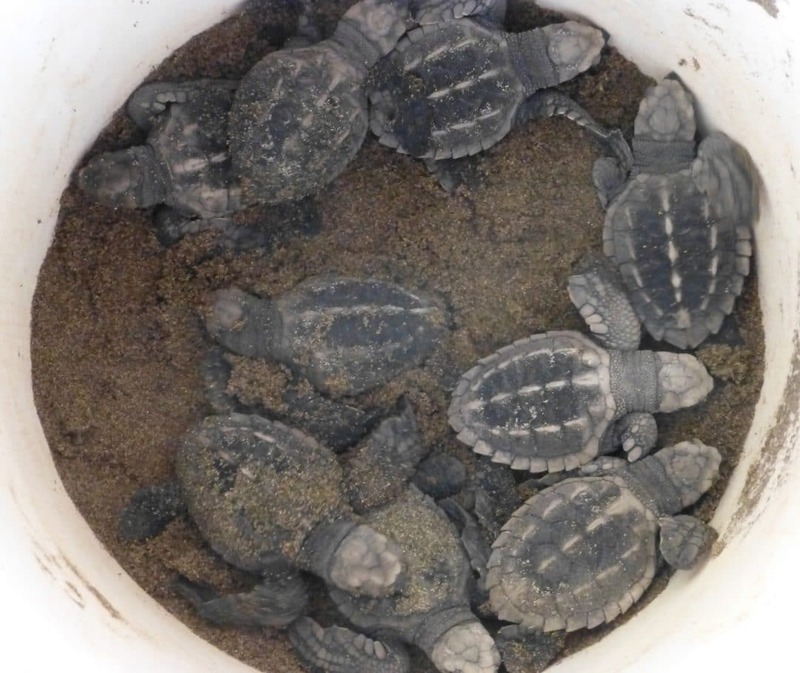 Many of the kids were local children who had never seen turtle hatchlings before. Oscar and the conservation team are teaching them to respect the lives of these endangered creatures through the wonder of being a part of this lovely miracle. What a beautiful sight it was to see this community gathering to witness and celebrate this process. We were honored to be invited to join in the spectacle. How beautiful. Wish I could have seen the little ones make it all the way to the water! This is happening all over the place. I heard of a place in Massachusetts USA where there were an inordinate number of hatchlings in an area which is already a hatching ground…but this is wonderful, and what an experience! hey there Sequanna, loved this post. My daughter Tanya who lives in Pawleys Is., SC has participated in this sort of thing. Thanks. Thanks, Laurie, for sharing this experience! I love the video of the little turtles. I am glad you got to be there for such a local event. You are right, the average tourist would never find this place.